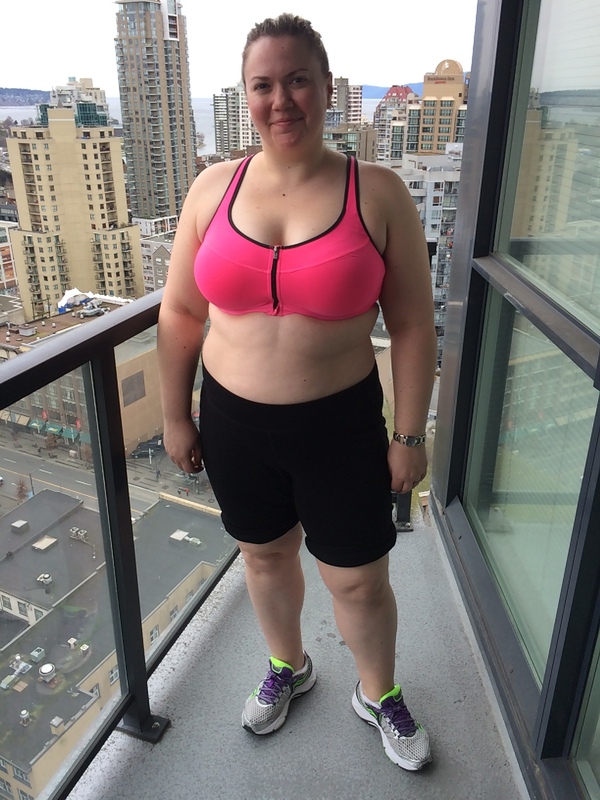 I recently bought a new sports bra from Victoria’s Secret that I love and wanted to post on the blog. Problem is, my workout outfit is nothing to blog about. I work out on equipment I have at home, so I typically just roll out of bed, put my hair up, throw on some clothes, and go. I don’t post outfits that I don’t actually wear, so the compromise I came to is that I’ll post a fictional outfit that I want you to think I wear when I work out (full make-up and all!) and then I’ll also post what I actually wear. Which is which will be obvious, I’m sure.